It’s that time of year. You see it everywhere already “PSL” Pumpkin Spice Latte. Starbucks brought it out even earlier this year due to its popularity. I love it and have bought me a few. There is a video going around thou that shows how many chemicals and crap that they really put in it. So I’m all into making my own. Directions: Whisk together water, brown sugar, pumpkin puree and pumpkin pie spice together in a small saucepan over medium high hear. Bring to a boil, stirring occasionally. Reduce heat to medium low and simmer for 3-4 minutes until slightly thickened. Stir in vanilla extract, and remove from heat. Use immediately, or cool and refrigerate in a sealed container for up to 1 week. Directions: Add all ingredients together in a mug and stir to combine. Top with optional toppings if desired. Brown sugar is the choice of sweetener because it tastes most like the traditional coffee shop version. Experiment with other kinds if you prefer. 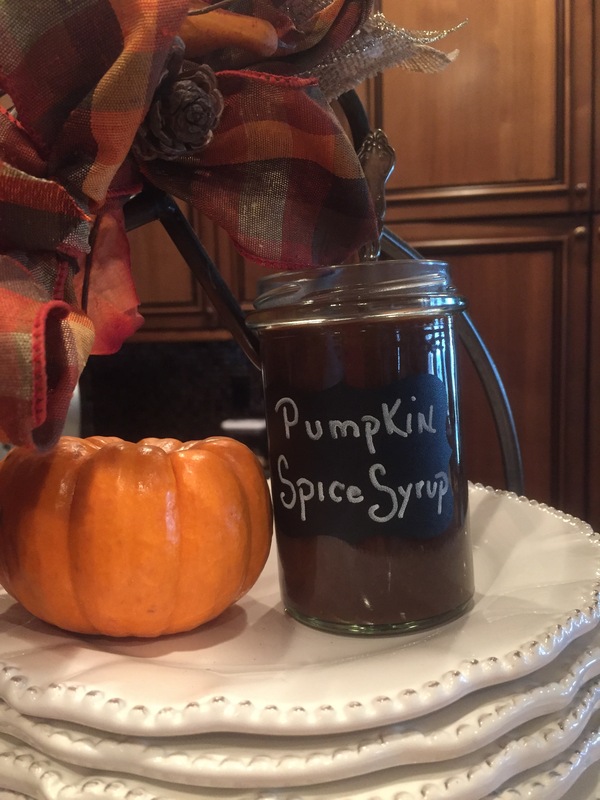 What a great hostess gift this will make for your PSL lover. Enjoy! This recipe was adapted from gimmesomeoven.